Some interesting early concept artwork from Atari has surfaced in recent years. These brightly coloured, hand drawn sketches are really “of their time”. 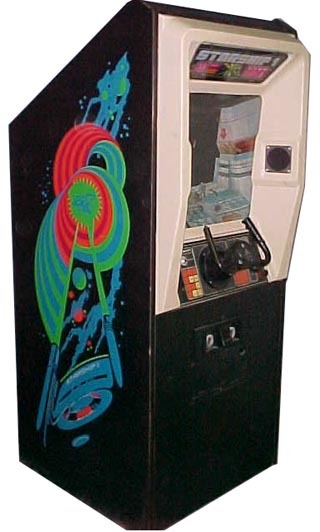 Atari’s arcade division employed several artists, who would create everything from Industrial cabinet designs, to the final artwork to adorn the various arcade cabinet designs. Flares and bright pastel colours were the order of the day. Two familiar cab shapes here. The one of the left would become the design shape for Asteroids Deluxe, the one on the right you should recognise as the early design of Atari’s Tempest arcade cabinet. 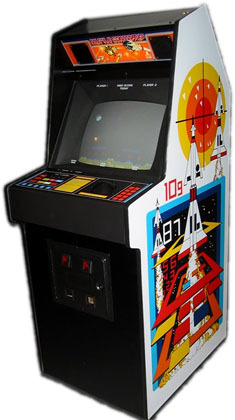 Starship 1, released in 1976. You can see early nods to what would become Stun Runner here. Released in 1976, Stunt Cycle was almost completely unchanged from this design on release. 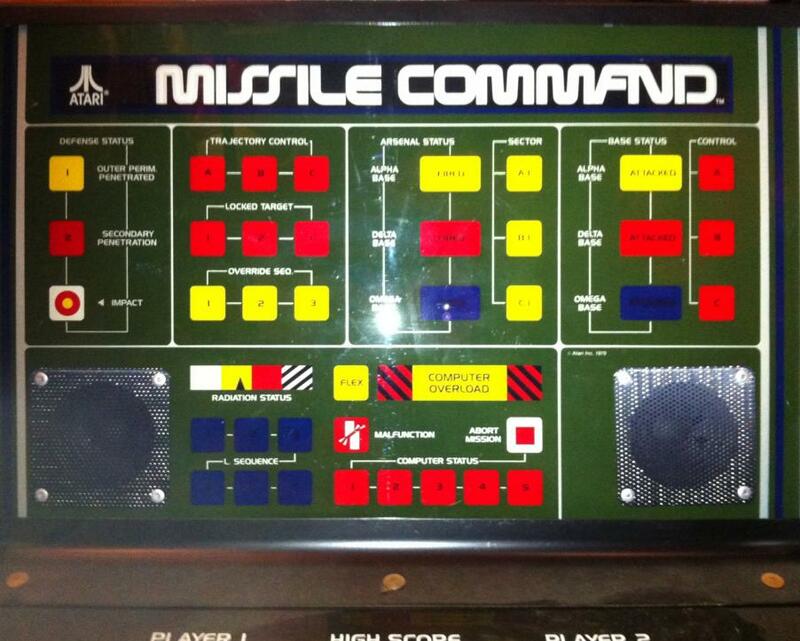 A very early Missile Command cabinet mock up. Notice the reference to “Armageddon”, one of the early names being considered for the game. You can see also the intended large attract panel at the top, which was scrapped before general release of the game. The bizarre looking setup on the left was a concept which aimed to maximise floorspace for operators, by incorporating six different games within one hexagonal unit. Amazingly, this was spotted out in the wild in a test location at a shopping mall in France. Doesn’t look like it made it into mass production. I love the look of this one. An early cockpit design. 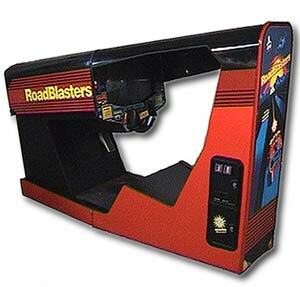 I see angular references to what would become Atari’s Star Wars and Road Blasters cockpit machines. (Update: someone has pointed out that this cab actually exists. Funai’s Interstellar was released in 1983 and it looks almost identical to this mock up. 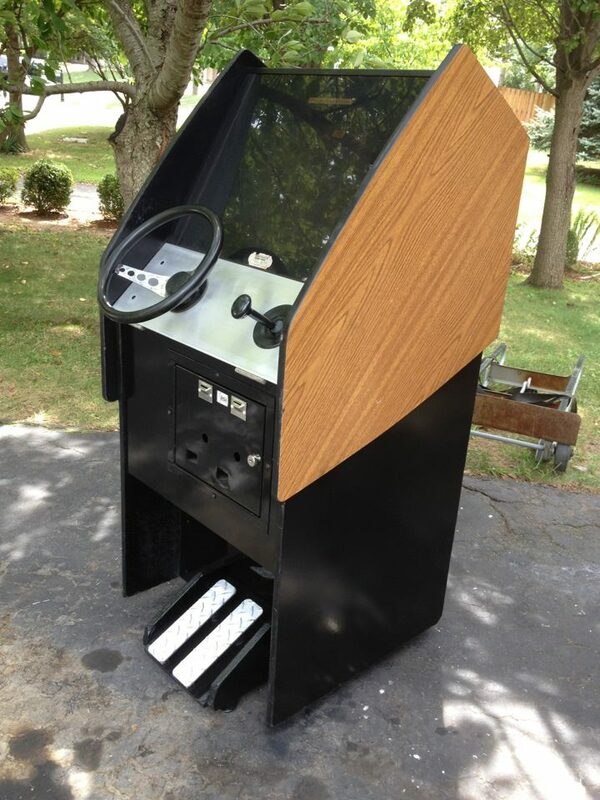 The suggestion is that Atari’s artists were contracted to design the cabinet for them). Middle picture shows the first design draft of Missile Command’s side art. Closer inspection reveals a few additional details not present on the final version, and additionally, you’ll notice this was designed assuming the large attract panel would be present. Image on the right would become Atari’s Sprint 2. 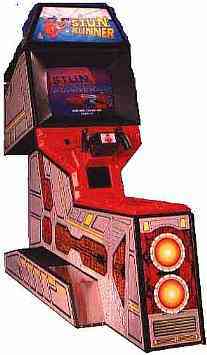 A rather generic cab design here, not too unlike an Asteroids upright. But notice the control panel slopes away and down from the player. I’ve only seen this before on an Italian Sidam bootleg cab. It makes most games much more comfortable to play when standing up, as it is much easier on the wrists. 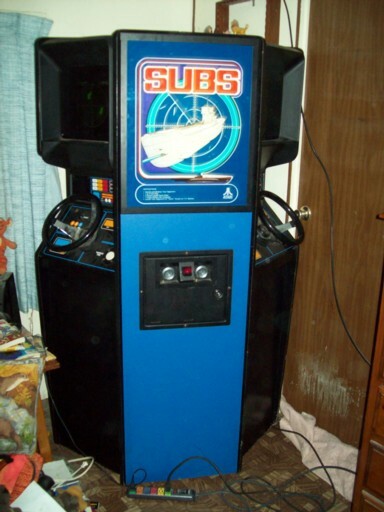 What would become Atari’s Subs cabinet, where two players play against each other on opposite sides of the cab. No idea on these two – but super cool looking! 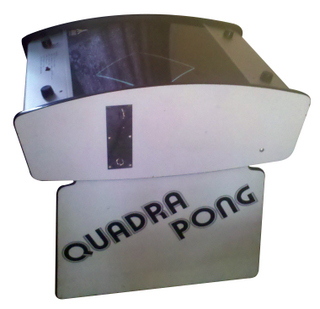 Released almost to the letter of this design in 1974, Atari’s four player “Quadra Pong”. Generally recognised as the first cocktail machine to be widely released. 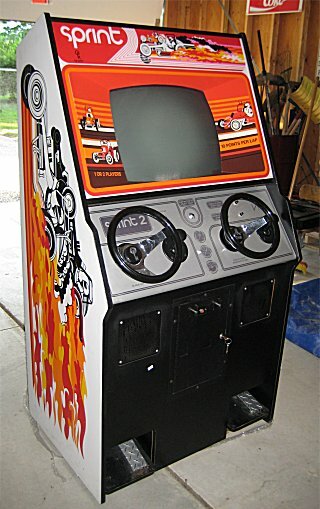 I can’t see any real world cabs in these two designs, but notice the magnification plexiglass placed above the monitors. 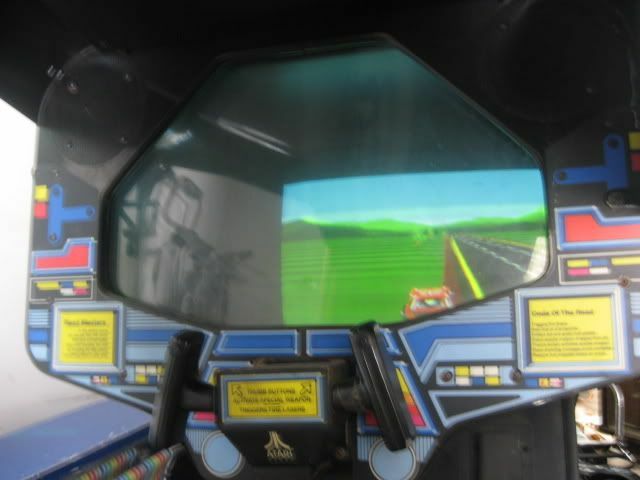 This idea was implemented in the cockpit version of 1987’s Roadblasters. More driving cab concept art. Perhaps a little too radical, as Atari’s “Gran Track 10” took a more traditional design. But you can still see elements of these design ideas here. Love this. Some sort of head to head cocktail cab using trackballs. Possibly what might have become Missile Command II? Part of Atari’s Gauntlet design documentation. The designer here debates with himself about adding a second shield placed in front of the monitor to try to reduce glare for the players. Interesting stuff. Dated 1983, these images appear to depict designs for an arcade game based on the Star Wars film, Return Of The Jedi. 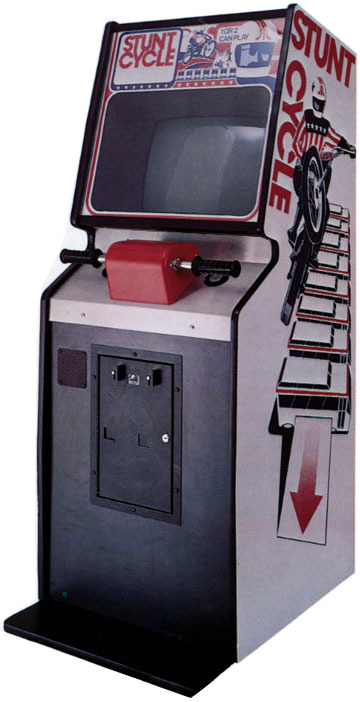 Nothing came of the designs sadly, as the game was released using a Frankenstien-like cab made up of parts of previous Atari hardware. These sketches are dated March 1987. Notice the “Street Fighter” reference in the marquees, which was not an Atari game. 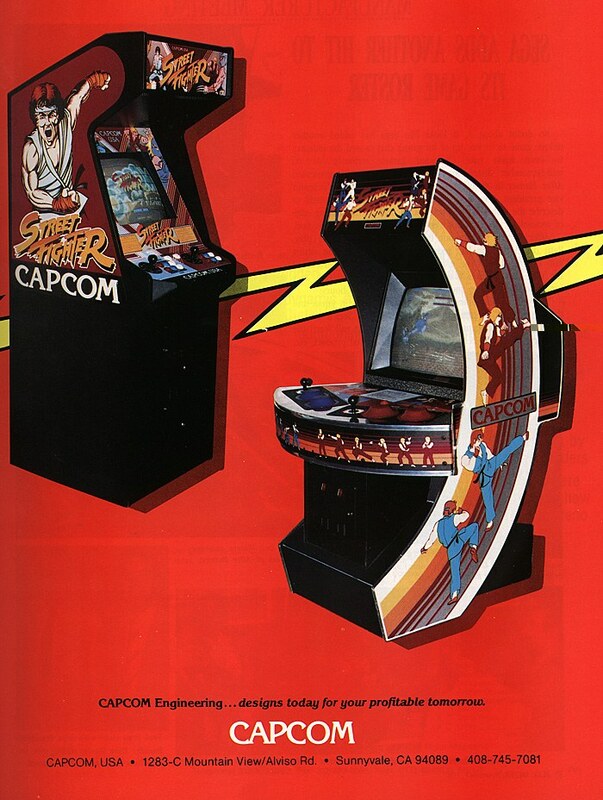 Interestingly, Atari were contracted by Capcom to come up with these designs. The middle design made it to final production of Street Fighter under the Capcom brand. (Note that I don’t “own” any of these images. I’ve just pulled them together into one place. Most of these images can be found around the web in various places, but kudos to Arcade Archive for putting a lot of these out there way back when. The excellent folk at The Strong Museum of Play in Rochester, New York now own many of the originals of these documents). where are these concept sketches housed? 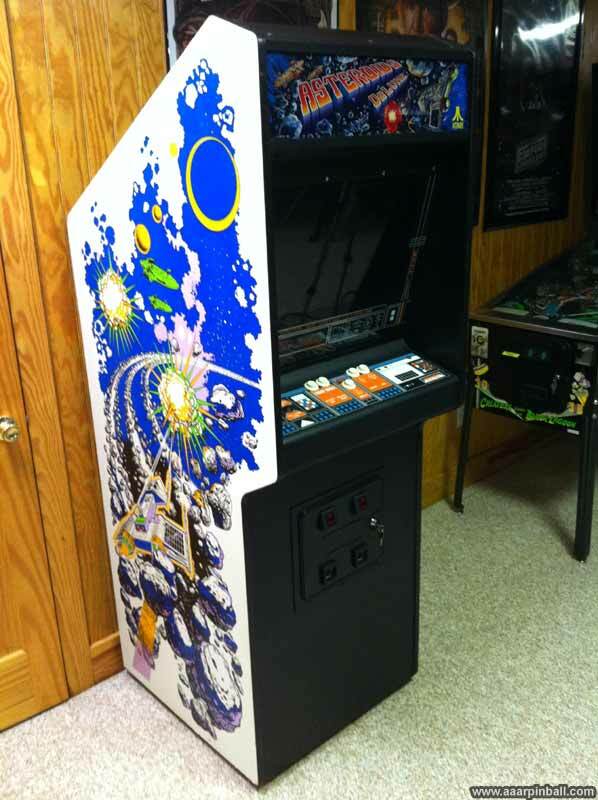 I happened to see Tempest #1 in person last week and the cabinet looks just like that. The control panel buttons and spinner are labeled with labels from one of those hand held label makers, whatever they are called. Ataris old sketches are the coolest.